Isfield Frost Fair shortly after opening its doors this morning (Sunday). 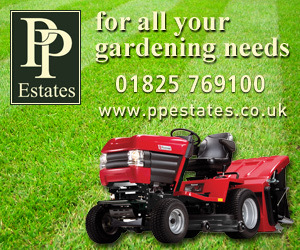 Meet Zena Cooper, one of the exhibitors at the Isfield Frost Fair today. All her craft skills go towards raising funds for Cancer Research. Zena Cooper raising funds for Cancer Research. She dresses little teddies, turning them into Santas, reindeers or elves, or enables them to sparkle in tiaras and tutus. She also puts together gift baskets and makes individual and special gift tags. 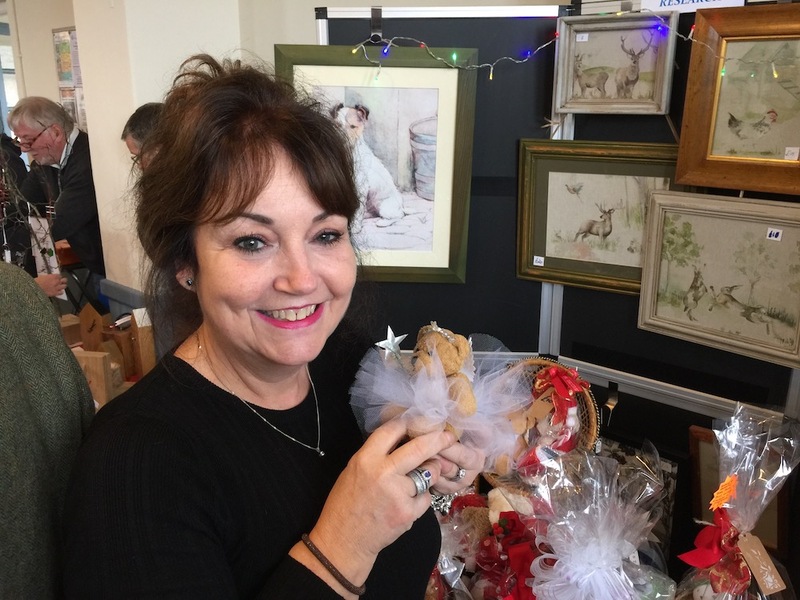 Zena, who lives at Ringles Cross, Uckfield, makes fabric pictures too, hunting in charity shops for frames she can paint, distress, and wax, for their new artwork. She started her fund-raising seriously in March 2017. She had always supported Cancer Research but then had cancer herself and was told that it was thanks to the charity’s work that her own treatment was less invasive than it might have been. Zena is among 18 artists and craftspeople displaying their work at the Frost Fair. Her stall was sponsored by Isfield Village Hall committee so that all the money she raised could go to the charity. 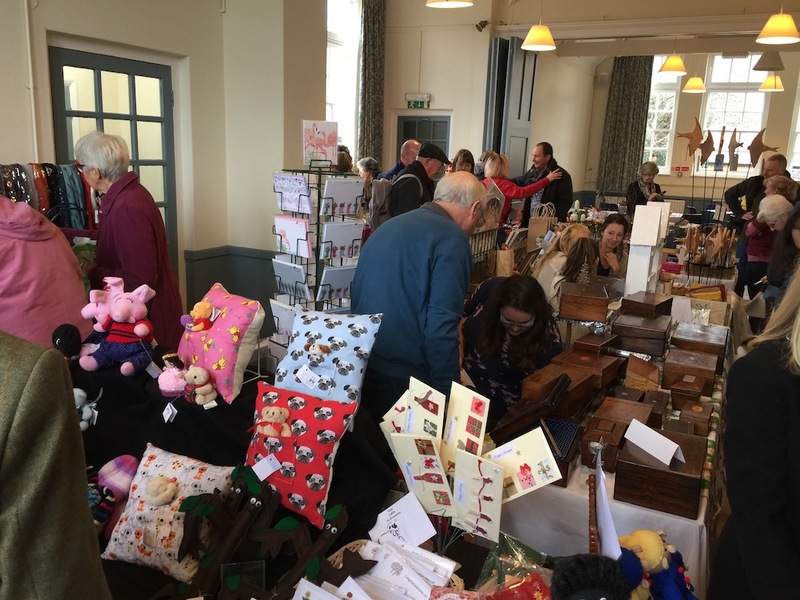 Others at the fair contributed to hall funds by paying £20 for their stall. 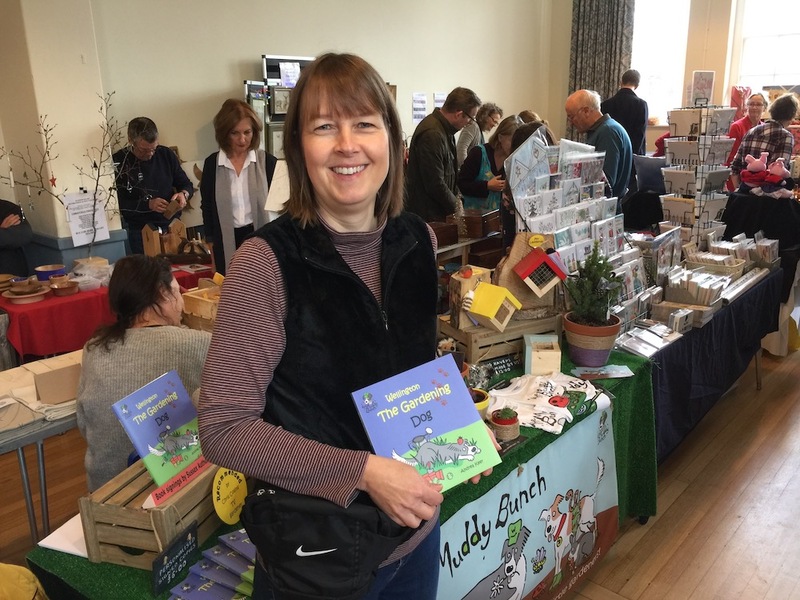 Author Andrea Keer, who lives at Cross in Hand, and before that was in Ridgewood, was selling copies of her book ‘Wellington The Gardening Dog’. Author Andrea Keer with her book Wellington The Gardening Dog. Wellington’s owner Miss Slugwash (named after a road in Chailey) tripped over him and broke both her legs and he felt so guilty that she was housebound that he recruited friends to help keep the garden tidy. Gunk the worm, became a soil scientist, and other animals such as Rocket Rabbit and Polly Bee had jobs appropriate to their skills too. Andrea is a teacher for Kew at Wakehurst and hopes her book will encourage children to leave their computers and go outside into the garden. “It is so good for them to handle soil,” she said. 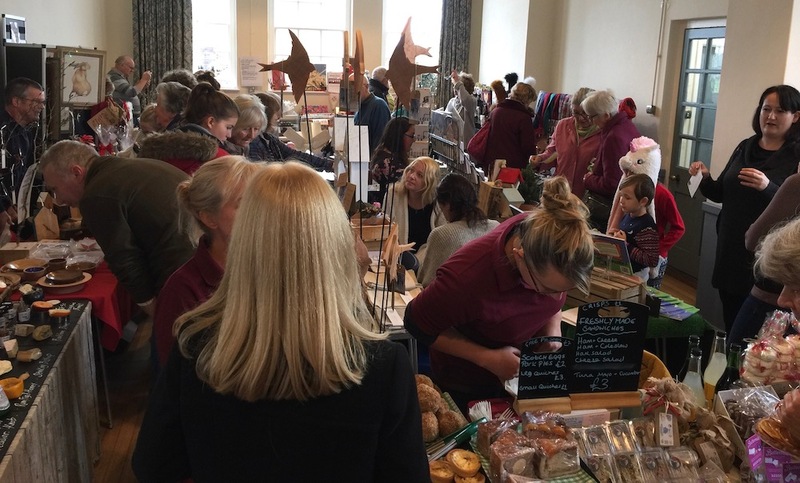 Isfield Frost Fair continues until 4pm today (Sunday) and refreshments are available for visitors. 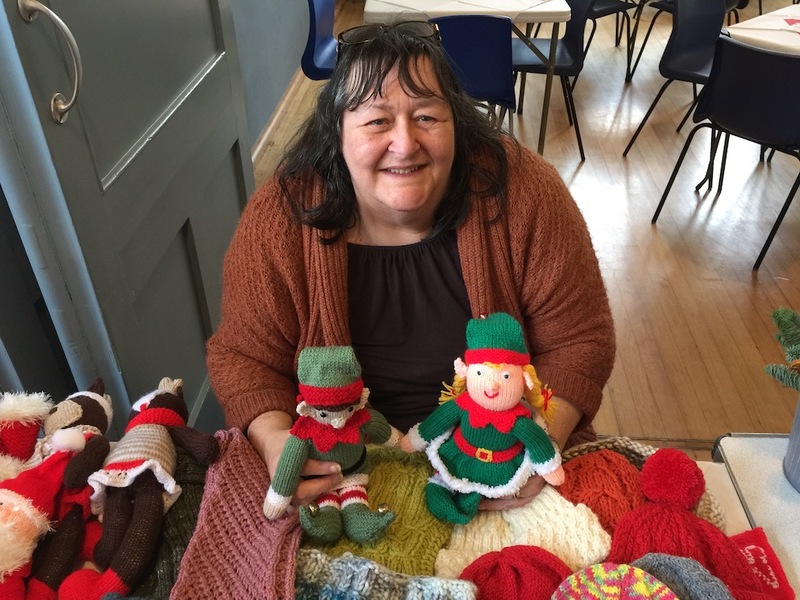 Linda Brooks, landlady at The Laughing Fish, with two elves she has knitted, along with other toys and hats, for sale at Isfield Frost Fair. 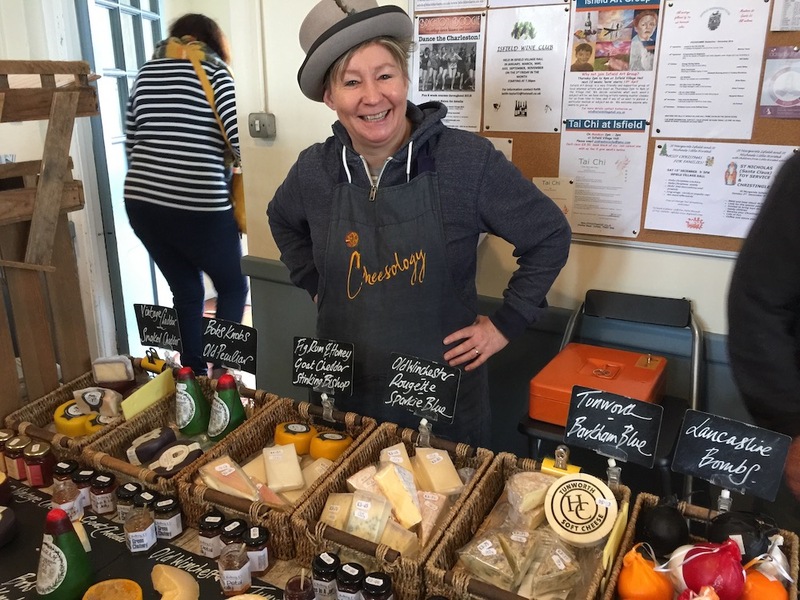 Saying cheese as she poses for the camera at Isfield Frost Fair is Lucie Inns, from Cheesology. Lots to see at Isfield Frost Fair.